In accordance with our mission statement, Paris ISD “provides a quality education to a diverse student population, enabling each to achieve full potential and become a productive, responsible citizen.” A major strength of our district is the cultural and socio-economic diversity of our student body. Paris ISD students graduate with the ability to compete in a global economy because they have been educated in an environment that mirrors our ever-smaller and changing world. With more than 131 years of excellence in education, Paris ISD is proudly rooted in a tradition of success. When most recently compared to similar school districts and campuses around the state, Paris ISD continues to rise to the top as demonstrated by the number of campus distinctions received. Paris ISD students achieved their best performance under the toughest accountability standards in the state’s history. Paris ISD is committed to educating every child and provides programs to ensure students have the support needed to achieve their potential. Examples of these programs include: full-day pre-kindergarten, full-day Head Start, dual language programs, breakfast and lunch at no cost for all students, Chromebooks for all freshmen, a non-traditional Travis High School of Choice, 21st Century Career and Technology Program, academic and athletic scholarships, and Paris Education Foundation scholarships. Paris ISD students are encouraged to begin their college career while enrolled at Paris High School. The district provides all tuition costs for students enrolling in dual credit courses through Paris Junior College. The advanced academic program has been recognized as one of the best in the state. The College Board recognized Paris High School as one in 400 schools in the nation named to the Advanced Placement Honor Roll. In addition, the district has received recognitions by the Texas Education Agency for college readiness success, plus exceptional use of High School Allotment Funds. Our students are prepared with rigor and are accepted by prestigious universities such as Yale, Cornell, Duke, MIT, WestPoint, Notre Dame, Stanford, and all major universities in Texas. In addition, our graduates are awarded on average more than $1.5 million each year in scholarships and grants. Paris ISD has participated in the Duke University Talent Search since 1984. 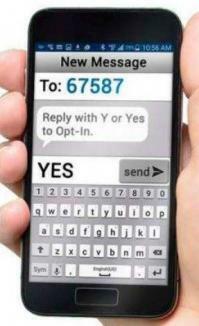 This program identifies academically talented 7th graders based on standardized test scores. Identified students complete either the SAT or ACT college entrance exam. The district has had 8 students recognized nationally for highest scores and 114 students recognized at the state level. Our students are successful in an array of academic competitions. Paris ISD continues to win at the state and international levels in Future Problem Solving. Since the district began competing in 1985, we have had 17 international championships and 50 state championships. Paris ISD celebrates student success in Career and Technology competition. In past years, 11 state titles and five national titles have been captured. Additional academic competitions in which our students demonstrate consistent success include Word Masters, University Interscholastic League, NET-OLE Regional Foreign Language Symposium, and numerous essay and speech competitions. The district offers a variety of award-winning fine arts and athletic programs, along with a host of other extracurricular programs, including a state of the art broadcast journalism program. Our award-winning drum line has won a national championship and numerous contests at the state level. We have had 56 all-state musicians in choir and 21 in band. The district has captured 14 state championships in athletics including football, baseball, golf, powerlifting, and track. The program has produced numerous professional athletes, coaches, and All-American athletes, with one holding a world record. Our extraordinary instructional staff has been acknowledged at both regional and state levels. Paris ISD has produced 17 Regional Teacher of the Year designations, 4 state finalist recognitions and one Texas Teacher of the Year. We are an open enrollment school district, transferring in more students from neighboring districts than transferring out. 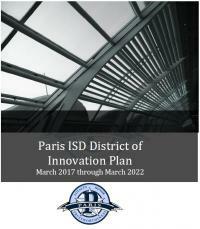 Students may live anywhere and attend Paris ISD schools at no charge. Paris ISD continues its legacy of excellence in education with high student achievement which showcases the ever present Wildcat Pride. The result is a school district with strong student and community confidence in the quality of our schools as well as state and national recognition of our success. We welcome students and their parents to our excellent learning climate.